This is totally stupid, but racial politics is often about signalling. There are things you cannot say, so you communicate in other ways. Jeff Sessions was in town for some reason. He went to buy a cheesesteak at one of the two tourist cheesesteak places in South Philly. They are across the street from each other. One is Pat's, the other is Geno's. I live in the neighborhood (well, technically just outside it I guess but whatever). Anyway, Geno's became infamous because its owner, Joey Vento, who has since died, put up a sign which read "This Is AMERICA: WHEN ORDERING Please "SPEAK ENGLISH". Vento is the son of Italian immigrants, and once upon a time the restaurant that they owned had menus in Italian. This is South Philly, after all. The point of the sign was not the specific message, the point of the sign was to signal that Vento was on board with the anti-immigrant wave which was happening back then (2006). It was a signal for assholes. The neighborhood is increasingly populated by a new wave of immigrants - mostly Mexican and Vietnamese - and this was a big middle finger to the local population. It's also completely stupid for a tourist destination to insult tourists. 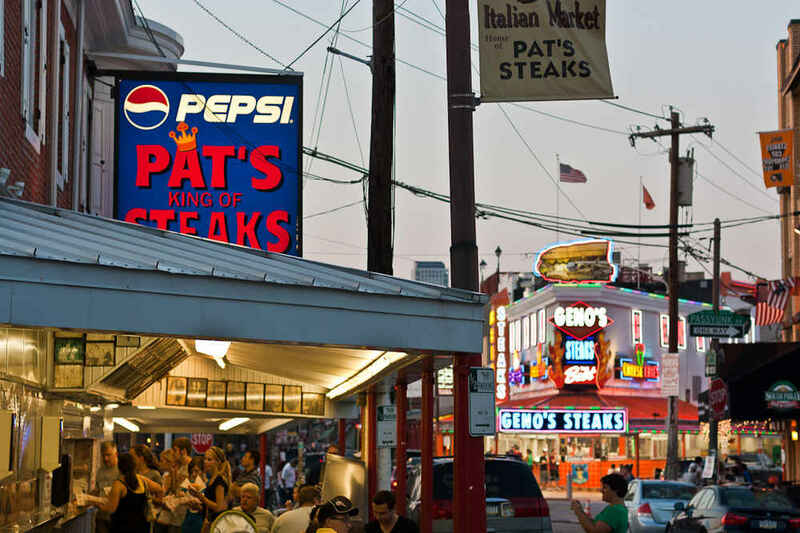 Philly is not the #1 tourist destination in the world, but people do visit here and they go to Pat's and Geno's to get a cheesesteak when they do. Vento died and his son (actually named Geno) now runs the place and he took the sign down. I have no beef with Geno's. There is no need to boycott Geno's. But when politicians are doing the "get a cheesesteak in Philly" thing they choose between Pat's and Geno's. 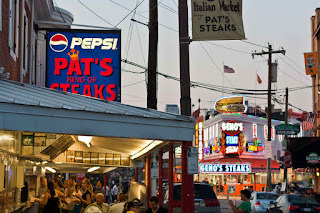 Choosing Geno's means you're a big racist, and choosing Pat's means you aren't. This might not be entirely fair anymore - again I have no beef with Geno's as currently run. It isn't about the restaurant. It's about the signal.